Innovative “nutrition incentive” programs that get more local, healthy food to low-income Mainers while growing the customer base for Maine farms have received federal funding through a large, multi-state grant from the United States Department of Agriculture (USDA). 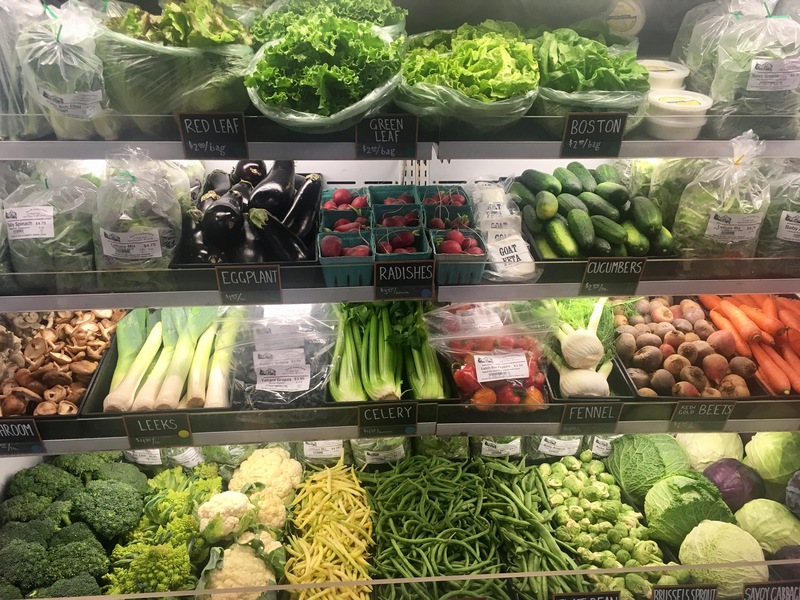 Last week the USDA announced over $4 million in funding for the regional proposal, led by Farm Fresh Rhode Island and including two Maine organizations: MFT and Maine Federation of Farmers’ Markets. The award is the largest grant allocated in this grant cycle. The grant will help fund nutrition incentive programs in Maine, New Hampshire, Vermont, Connecticut, and Rhode Island for the next four years. Nutrition incentive programs offer vouchers for low-income shoppers who use SNAP/EBT (the Supplemental Nutrition Assistance Program, formerly known as food stamps) when they purchase local food. The vouchers can be redeemed to purchase more locally-grown fruits and vegetables. Nutrition incentives are a win-win-win: Families who use SNAP benefits are able to access more local, healthful food; Maine farmers gain new customers; and more food dollars stay in the local economy. In Maine, there are two types of nutrition incentive programs: Maine Harvest Bucks, which is offered at farmers’ markets, CSA’s, and farm stands through Maine Federation of Farmers’ Markets (MFFM), and Farm Fresh Rewards, offered in local stores and administered by MFT. Maine Harvest Bucks is available at 60 sites across the state. MFFM partners with Saint Mary’s Nutrition Center, Maine Organic Farmers and Gardeners Association, and Cultivating Community to implement Maine Harvest Bucks at various direct-to-consumer markets throughout the state. Since 2015, Maine Harvest Bucks has provided more than $250,000 in local fruits and vegetables to shoppers using SNAP. When SNAP benefits are factored in, Maine shoppers have purchased more than $600,00 from local farms in the past 3 years through the Maine Harvest Bucks program. In 2015, MFT began a project to expand nutrition incentives to stores selling local food. Farm Fresh Rewards has also proved successful: 69% of responding customers report buying more fruits and vegetables as a result of the program, over half (56%) reported a health benefit, and more than two-thirds (69%) noted that they “feel more connected with farmers and other food producers.” Customers are buying more local food, supporting the more than 300 farmers who sell products to participating stores. MFT looks forward to growing these successes with renewed funding. Farm Fresh Rewards is also supported by Harvard Pilgrim Healthcare Foundation in Southern Maine. In total, these two nutrition incentive programs have helped increase sales for over 1,000 farmers and producers, with more than $700,000 in SNAP and nutrition incentive sales since 2015. For more information about Maine Farmland Trust’s Farm Fresh Rewards program, contact Shannon Grimes, shannon@mainefarmlandtrust.org or 207-338-6575. For more information about the Maine Federation of Farmers’ Markets’ Maine Harvest Bucks program, contact Jimmy DeBiasi, SNAP@mffm.org or 207-487-7114.